If proposed, a federal registry of individual gun owners will literally put American citizens up in arms. While that doesn't exist at the federal level, something sort of similar does: gun tracking. There is a carefully orchestrated system to establish how it works in the U.S. A next door neighbor can't just call up a local Federal Firearms Licensee (FFL) or law enforcement agency and ask where your handgun has been and who's owned it. There is only one federal organization authorized to track guns used in crimes, for example armed robbery: the Bureau of Alcohol, Tobacco, Firearms and Explosives National Tracing Center. According to the ATF Firearms Tracing Guide, only foreign, federal, state, county, local and tribal law enforcement agencies may submit a firearm trace request to ATF when a U.S.-sourced firearm is recovered in a criminal investigation. What are "U.S.-sourced firearms?" Well, they're either manufactured in or imported into the U.S. There are four types of conventional firearms: pistols, revolvers, rifles and shotguns. But antique firearms qualify as well. Once they become classified as a "crime gun," the ATF F 3312.1 National Tracing Center Trace Request form is submitted. A trace can be requested via "urgent" telephone call, physical form or through the online eTrace system. So the procedure is purely through law enforcement agencies. 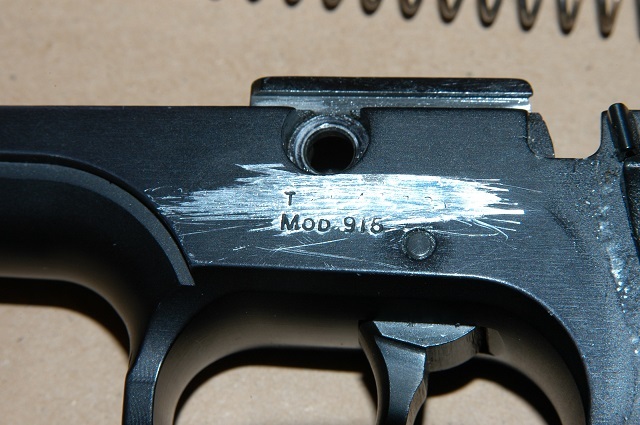 There are four types of results that can be yielded, and specific purposes for gun tracing. What's The Point Of Gun Tracking? Asking the point of gun tracking is a fair question. Why do it? What purpose does it serve? There's an obvious, common sense answer. 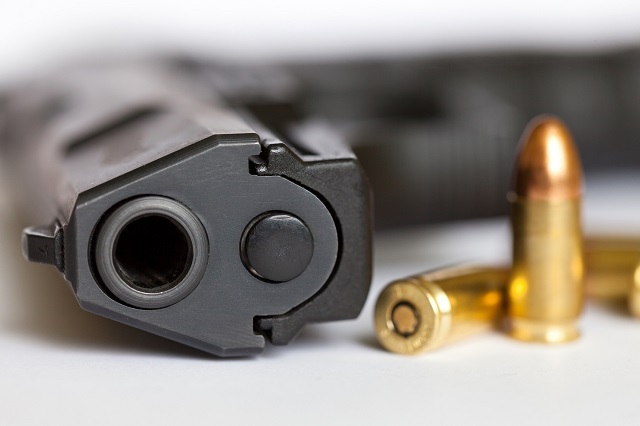 "A firearms trace result summarizes the trail, through lawful commerce, taken by an individual firearm until its purchase by a non-licensed individual or entity in a retail sale," according to ATF. Ownership: who initially bought it? The firearms trace process tells researchers where a firearm was entered into civilian ownership at FFLs. It can find "time to crime," which is the time between sale and potential criminal activity. Does gun tracking always work? Law enforcement could provide an inaccurate description of the firearm in the process request. Serial numbers and other identifying markers can be filed off or otherwise obscured. If the firearm was manufactured prior to 1968, a request will also fail. A request on firearms that weren't manufactured in or imported into the U.S. will also yield a failed request. How are firearms individually tracked though? There are hundreds of millions of them. 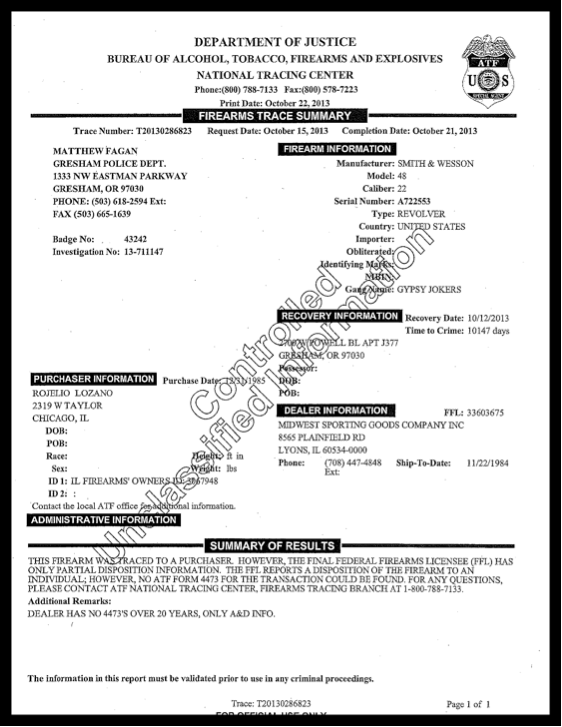 Firearms trace requests for guns manufactured in the U.S. require the serial number, manufacturer name, city and state of manufacturer, model, and caliber or gauge. For firearms imported into the U.S., those criteria are required as well as importer's name and the city and state of the importer. How many guns are actually traced annually by the ATF NTC? 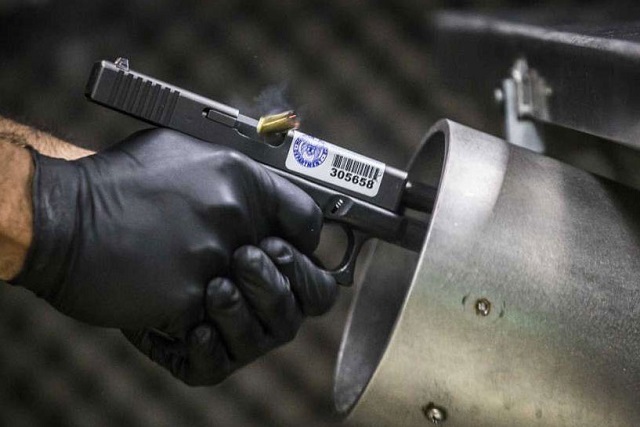 The NTC has traced firearms for the U.S. and 129 other countries.